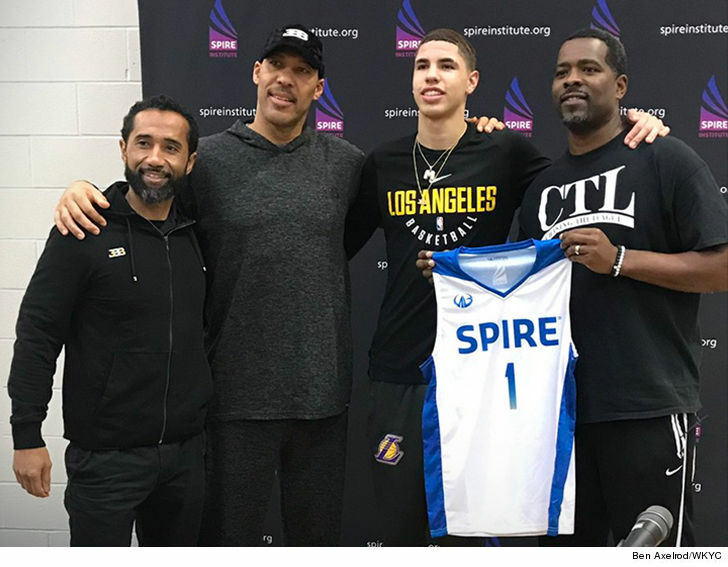 "We got the guy who can make the blind see and the cripples walk in LaMelo Ball"
Yeah, that's a REAL quote from LaMelo Ball's new high school basketball coach, Jermaine Jackson -- who says he's so excited about the young player, it's like Magic Johnson all over again. 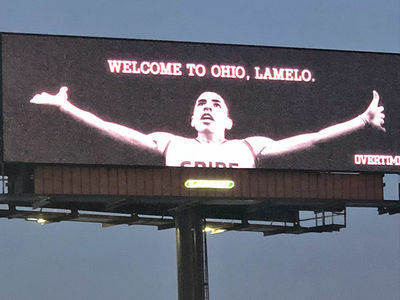 LaMelo, along with Jackson and LaVar Ball, just hosted a media event at the Spire Academy in Ohio where the 17-year-old will play this season ... and they're HYPED UP! "Like Magic Johnson said in the '80s, don’t look down because you might miss something," Jackson said about Ball ... "It’s showtime baby!" LaVar added this message to the Ohio media -- "Since LeBron left, I brought you a Ball boy." Don't worry, LaMelo has a plan after he finishes his senior year -- he wants to play college ball. In fact, Ball told the media he's already got some schools in mind -- including North Carolina, Duke, Kentucky, Kansas, Michigan State ... according to WKYC's Ben Axelrod. LaVar also told the media he thinks LaMelo is the most famous high school basketball player of all time -- even more famous than Bron was -- because James was virtually unknown overseas. Ball is expected to make his Ohio high school debut in the next few days.